Back then, knowing how to hack systems was a “bad thing that was kept in the shadows,” Moshir said. Today, “It’s a good thing, and people want you to know cyber security. The Arizona cyber security landscape has changed significantly in the last 10 years. 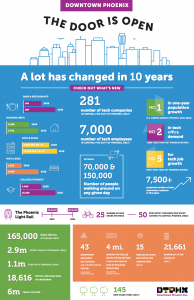 Not only is the greater Phoenix tech ecosystem known for its home-grown security companies such as LifeLock, Clear Data, Trusona, CellTrust, AXO and Symantec, but it also houses top corporations such as Amazon, Google, Apple, Intel, AMEX, Chase, Pay Pal, Boeing, Garmin, Charles Schwab, McKesson and more. 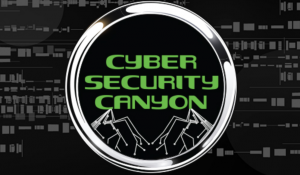 To support the expanding community, a group of industry leaders led by Ori Eisen, Joe Loomis, Sean Moshir, Jason Pistillo, Kyle Starkey and a few others created the Cyber Security Canyon to attract talent to their companies, grow the local cyber security sector and develop educational partnerships. Along with lower taxes and cost-of-living expenses for employees, more companies are deciding to stay and build or relocate to Arizona because of government incentives, competitive operative costs, updated infrastructure and university partnerships that funnel graduates to their increasing talent pool. 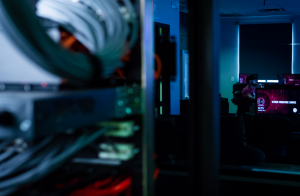 “As the Phoenix metropolitan area became known for our cheaper electricity and lack of natural disasters (outside the occasional summer haboob), these two industries looked to Phoenix, and Arizona in a larger sense, as a location for growth,” said Edward Vasko, CISSP, CEO of Terra Verde. The active cyber community continues to bring more leaders and partnerships into the ecosystem to fuel growth. 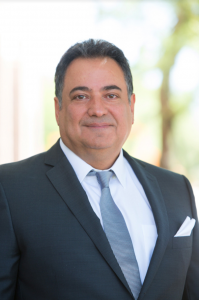 The demand for cyber security experts is at an all-time high, and Arizona companies are having to recruit more aggressively to snag talent and graduates with cyber backgrounds, Moshir explained. Leaders in the cyber cluster specifically look to UAT as a pipeline to fill the ongoing need. Being attractive to a security company means possessing certain skills and educational training in security. But for the most part, hiring managers look for employees who are curious, detail-oriented and possess a strong desire to learn. “I can teach you how to use a certain firewall or SIM tool, but you really need an interest in the details. Security is about the sneaky little bits, the details in and around the implementation of whatever you’re working on. Those people who really like looking at a problem and digging into the details—then goes and researches what’s going on—that curiosity will take you a lot further,” Starkey said. Vasko looks for potential leaders who can communicate effectively across multiple audiences. Landing a cyber security job in Arizona right out of college is a real possibility, according to Moshir. But it requires a curriculum that adapts to changes in technology, provides opportunities to practice skills on the latest equipment and builds real-world skills that employers can use right out of the gate. 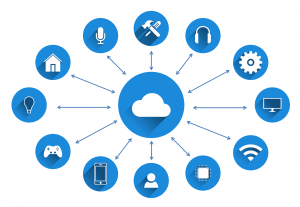 With more IoT and smart devices on the market, the need for security continues to grow exponentially. That's why UAT cyber security program incorporates training in artificial intelligence (AI). “Students who graduate from UAT can get started with six-figure salaries and stay in the Valley to work. It used to be that you had to go to Silicon Valley to work in this space—that is not the case anymore,” Eisen said. The cyber warfare range on the UAT campus, funded by a D.O.D. grant, is where students test their skills against cyber threats and fine-tune their ethical hacking skills before entering the workforce. Not only are UAT cyber security graduates attractive to local companies and corporations, but government agencies actively recruit them to help fight in the cyber war. UAT has one of the longest-running cyber security degrees in the Southwest and has trained more graduates with an NSA and CAE-credentialed education than any other university program in the region. Entering the cyber security industry doesn’t have to take four years of college. In fact, UAT’s cyber security program takes just over 2.5 years and begins day-one by introducing students to the latest technology, attack vectors and best practices. UAT graduates are able to enter a job 2.5 years earlier on average than a state school program and start at a higher level of position and pay grade. Learn more about UAT's cyber security degree program here.